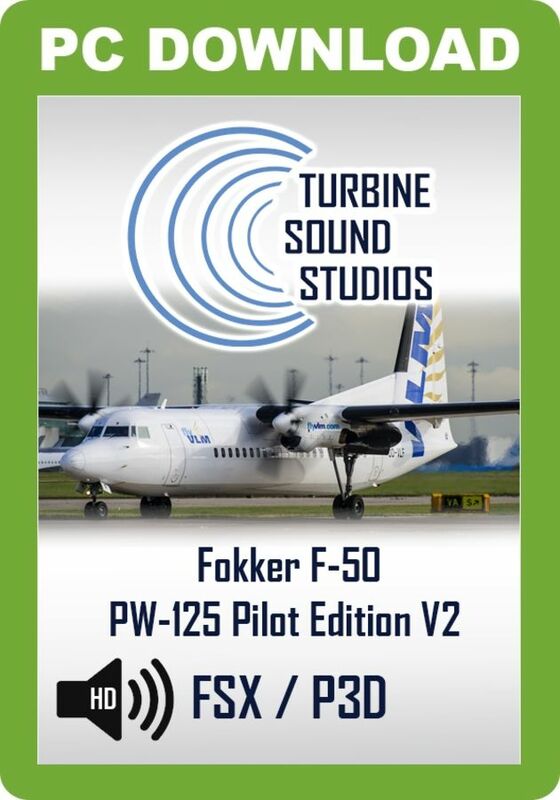 Turbine Sound Studios proudly presents the Fokker F-50 PW-125 Pilot Edition V2 sound package for FSX and P3D, recorded in High Definition. This Pilot Edition includes sounds as heard from the cockpit and includes recordings made in Denmark and the UK. 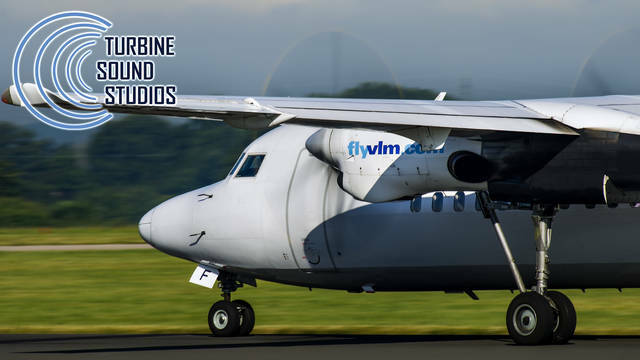 This sound package has been developed for the Carenado Fokker 50 for FSX and P3D but other models will also work with this sound package with some variation, but no guarantee. 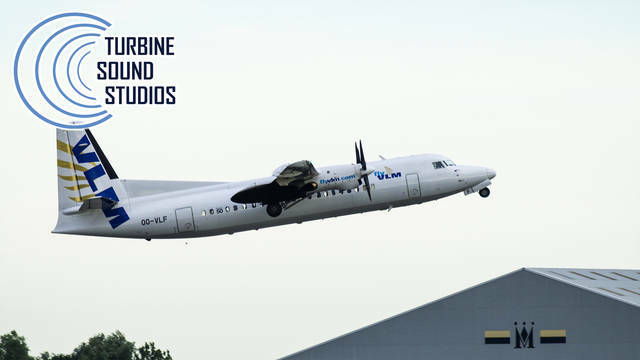 The Fokker 60 is a stretched freighter version of the Fokker 50. 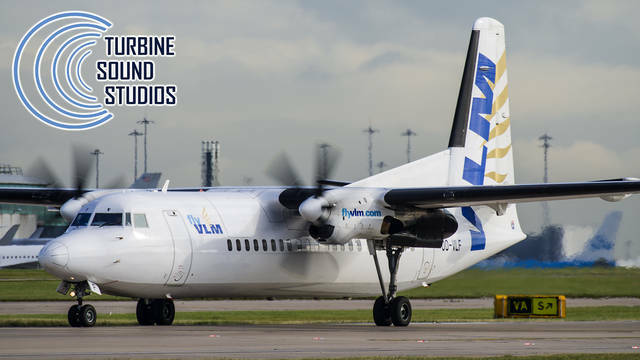 Both aircraft were manufactured and supported by Dutch aircraft manufacturer Fokker. 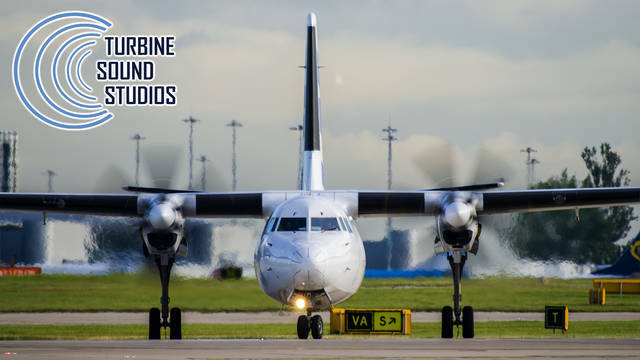 The Pratt & Whitney Canada PW100 aircraft engine family is a series of 1,800-5,000 shaft horsepower (1,300-3,700 kW) turboprops manufactured by Pratt & Whitney Canada. The engine first entered service in 1984. 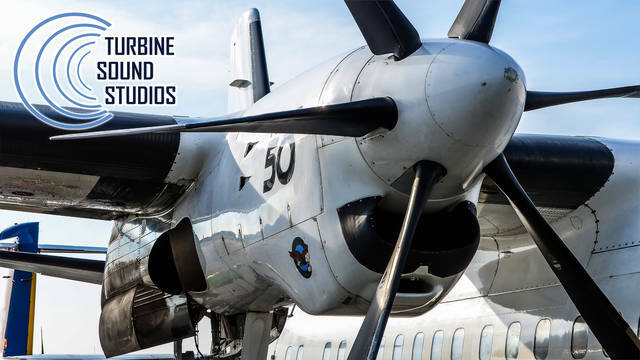 It dominates its market with 89% of the turboprop regional airliner installed base in 2016, leading GE Aviation and Allison Engine Company. 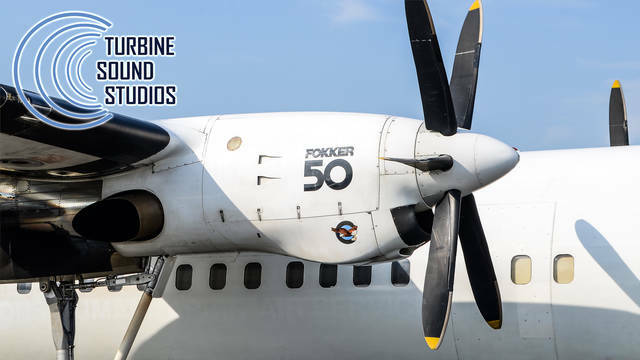 This Turbine Sound Studios Fokker F-50 PW-125 Pilot Edition V2 sound package includes sounds as heard from the cockpit and was recorded in High Definition. 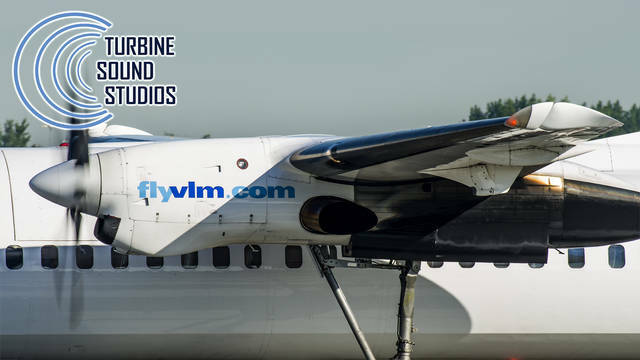 This package has been developed for the Carenado Fokker 50 for FSX and P3D but other models will also work with this sound package with some variation, but no guarantee.